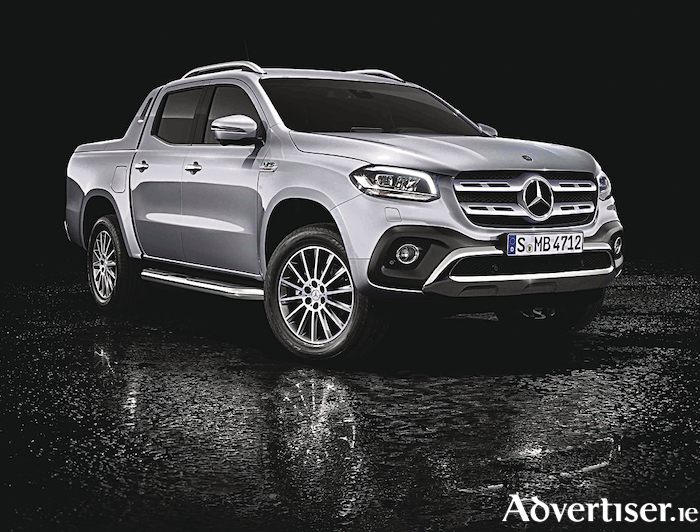 The Mercedes-Benz X-Class, with a powerful six-cylinder engine and 4Matic permanent all-wheel drive, celebrated its world premiere at the Geneva Motor Show this week. The X 350 d 4Matic has provisional fuel consumption figures of a combined: 31.3mpg, and combined CO2 emissions: 237g/km. It delivers 258hp (190kW ) and a maximum torque of 550 Newton metres. The top model sprints from zero to 62mph (100km/h ) in 7.9 seconds. The permanent all-wheel drive of the X 350 d 4Matic ensures a high level of driving stability and dynamism under a wide range of conditions, – including wet and wintry roads. As standard the X 350 d 4Matic is equipped with the seven-speed automatic transmission 7G-Tronic Plus with steering wheel shift paddles and the ECO start/stop function. More details and pricing closer to the arrival.